This year’s ethics conference will be particularly timely and relevant. Dr. Frederic Reamer will address emerging ethical challenges in an increasingly digital age and issues that can arise when politics enter the therapy room and the lives of clients and social workers. Clinical social workers are increasingly using technology to deliver services, communicate with clients, locate information about clients, and store information. Reamer will identify challenging ethical issues associated with these trends and explore implications of the new Standards for Technology in Social Work Practice and the recently revised NASW Code of Ethics. Reamer chaired the task forces for both. Many social workers and clients are also becoming increasingly impacted by and involved in the political process, and this can present its own set of ethical dilemmas as well as transference/countertransference concerns. Reamer will explore with us issues that may arise when clients suffer related emotional or financial distress; how we can manage differences in political/social views with clients; and issues that may arise when therapists or clients become involved in highly publicized political activities – a situation that can overlap the issues related to visibility via social media and other new technologies. Dr. Frederic Reamer has dedicated his career to reforming the ethics, practice, and education of the social work field through his work as a researcher, an author, and a professor. His extensive experience in ethics research has helped NASW and the social work profession as a whole over the years. Reamer is a professor in the graduate program at the Rhode Island College School of Social Work, where he has taught since 1983. Over the years, his research has focused on a variety of human service issues, ranging from mental health and criminal justice to public welfare and professional ethics. Reamer has been a featured essayist on NPR’s Morning Edition, a commentator on NPR’s All Things Considered, and a guest on a variety of radio broadcasts on stations across the country. Starting in 2007, Reamer began as the host and producer of This I Believe – Rhode Island on NPR and Rhode Island Public Radio. He was featured as a commentator in the documentaries “America’s Serial Killers: Portraits of Evil” and “Rampage: Killing without Reason”. Reamer has appeared as an expert on the PBS series This Emotional Life. He has distinguished himself as an expert in the ethical use of technology within social work, and gave the keynote presentation “Managing Social Media and Electronic Communication in Social Work Practice: Ethical and Risk-management Issues” at the 2012 Association of Social Work Boards’ Education Conference, which introduced social work regulators to the ethical, practice and regulatory challenges posed by the quick rise of technology. Dr. Reamer has previously worked as the Director of the National Juvenile Justice Assessment Center at the US Department of Justice in the Office of Juvenile Justice and Delinquency Prevention from 1979 to 1981, as a Senior Policy Advisor to the Governor of Rhode Island from 1987 to 1990, and as a Commissioner of the Rhode Island Housing and Mortgage Finance Corporation from 1987 to 1995. He served on the Rhode Island Parole Board from 1992 to 2016. Reamer was the Editor in Chief of the Journal of Social Work Education from 1990 to 1994, Associate Editor of the NASW Encyclopedia of Social Work (20th Edition) and is currently an Associate Editor of the Encyclopedia of Social Work Online. He has lectured around the world on professional ethics, professional malpractice, and liability, including presenting at the 2014 NASW National Conference. Reamer has participated in research projects sponsored by many groups including The Hastings Center, the Carnegie Corporation, the Haas Foundation, and the Scattergood Program for the Applied Ethics of Behavioral Healthcare at the Center for Bioethics, University of Pennsylvania. 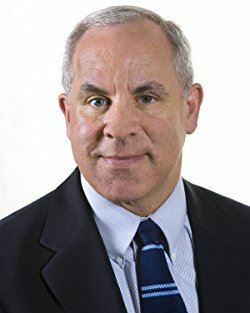 Dr. Reamer received his BA in Criminology from the University of Maryland in 1974, his Masters in Social Sciences from the University of Chicago in 1975, and his PhD in Social Work from the University of Chicago in 1978. Dr. Reamer received the "Distinguished Contributions to Social Work Education" award from the Council on Social Work Education (1995); Presidential Award from the National Association of Social Workers (1997); Richard Lodge Prize from Adelphi University for “outstanding contributions to the development of social work theory” (2005); Edith Abbott Award from the University of Chicago for “distinguished service to society and outstanding contributions at the local, national or international levels” (2005); Neil J. Houston, Jr. Memorial Award for “dedicated service and citizen contribution toward the criminal justice profession and the public interest” (2009); International Rhoda G. Sarnat Award from the National Association of Social Workers for significantly advancing "the public image of social work" (2012), and the Excellence in Ethics Award from the National Association of Social Workers (2015). Light breakfast and lunch are included with registration costs. Registration and payment for CEU events must be received and fully paid 7 days in advance of the start time of the workshop. If not paid, 7 days in advance, registration will be canceled. Requests to attend a CEU Workshop that arrive with less that 7 days advanced notice will be considered and approved when possible. If approved, payment must be made immediately, via the website, using PayPal or a Credit card. Checks will not be accepted less than 7 days before the start time of the event. Cancellations made more than 7 days from the start time of the Workshop will receive a refund minus a $25 processing fee. Cancellations made less than 7 days from the start time of the Workshop will not receive a refund of any funds paid. If you have an emergency, less than 7 days before the start time of a workshop and cannot attend, please contact Donna Dietz.